Tanya Griffin, who plans to open a medical cannabis dispensary in Sauget, feels confident that she will have products to sell her customers as early as November. Griffin’s confidence flows from the news that at least three Illinois medical marijuana cultivators have been certified by the state in the last two weeks to begin growing medicine. Ataraxia, the marijuana cultivator in Illinois State Police District 19 in Albion, in southeastern Illinois, near the Indiana border, announced Monday it received state authorization to begin growing medical cannabis in a former warehouse that covers 52,000 square feet. Ten days earlier, Revolution Cannabis, in Delavan, just outside Peoria, announced it had started its cannabis operation in a new 75,000-square-foot facility whose ground-breaking occurred in February. The Illinois Department of Agriculture, which oversees medical cannabis cultivation, has acknowledged that three licensees have been given the OK to begin cultivation operations, but declined to name the third grow center allowed to start growing a crop. For Griffin, whose firm The Green Solution plans to build a medical cannabis dispensary license in Sauget, the announcements mean a crop of medical cannabis will be harvested and ready to ship to dispensaries such as hers in either October of November. Griffin said her firm has already hired some employees for the dispensary, which is scheduled to be built in Sauget’s Archview Medical Center near GCS Ball Park, the home of the Gateway Grizzlies minor league baseball team. All told, the TGS dispensary plans to hire up to 15 workers, including a receptionist, security guards and a facility manager, Griffin said. TGS is among 52 dispensaries awarded licenses in February by Gov. Bruce Rauner. 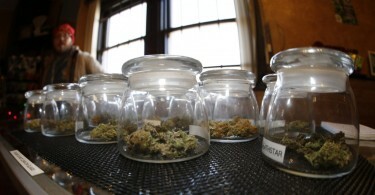 For both the state’s cultivation centers and dispensaries, security will be very tight. TGS, which is owned by a Colorado-based chain of growers and dispensaries, will have its security provided by its own security company, S-Type Armored. Security guards and 24/7 monitoring by closed-circuit cameras are mandatory for all the facilities. All employees will be given special ID badges after rigorous background checks. The only customers allowed through the door will be patients whose names are on the state’s cannabis registry and who’ve been awarded medical marijuana cards by the state because they suffer from one of dozens of illnesses and debilitating conditions, including AIDS, lupus and cancer. As far as pricing of her products, that’s still to be decided, Griffin said. Under the state four-year pilot program that made the sale of medical cannabis legal, dispensaries can only buy from licensed cultivation centers located in Illinois. 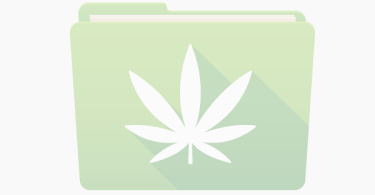 One of those licensees is Progressive Treatment Solutions, which is certified to grow medical cannabis at a former fiber-optic switching station off Illinois 3 in East St. Louis. Progressive did not return calls seeking comment. Eighteen grow centers have received preliminary licenses from the state, and half of those have been approved to receive official ID cards for their employees. Griffin said she expects to see more grow centers open soon. The pilot program requires all cultivation centers to be up and running within six months of when they were awarded licenses to grow medical cannabis or forfeit a $2 million bond. “So everybody should be up and going within the next month or so,” she said.